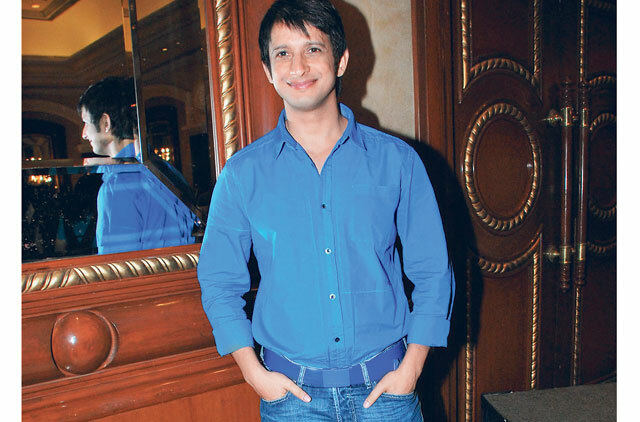 Bollywood's rising star Sharman Joshi is on a sabbatical and has not signed on for a single film after his hit film 3 Idiots. But it's not arrogance or complacence that has made him adopt such a hardliner approach. In town to play a charity cricket match led by actor Salman Khan tonight, the 31-year-old actor has chosen to take things slow. "Post 3 Idiots, I have not signed any film. I am looking for something that truly excites me. When I am going to work, it should be fun and not work and work alone. Currently, I am just meeting people, discussing scripts and hopefully I will get back into films soon. Everything boils down to the script," says Joshi. But he is not fretting about losing out on work, as he is currently riding high on several award nominations for his role as the college underdog Raju Rastogi in 3 Idiots. Apart from being the highest grosser, the film has won Joshi several award nominations, including a nod at the prestigious International Indian Film Academy Awards in the Best Supporting Actor category. "It's not my first nomination and I am not surprised about the nomination, because 3 Idiots is such a fine a film. And when you are a part of such a fine film, you inevitably get a nomination. I am so happy, but I hope I crack it this time." Though awards have eluded him, his performance has never been criticised. Case in point: his romantic drama Sorry Bhai!, which dealt with the sensitive subject of a sibling (Joshi) falling in love with his brother's fiancée, was critically acclaimed but failed to take off at the box-office. Apparently, the timing of its release in December 2008 was ill-fated, as the Mumbai blasts occurred during the same time. "Sorry Bhai! is a fine film and I am proud of it, but what I have learnt is that there are several factors that make a film work. In this case, the film was targeted for those living in Indian metros and Mumbai was our main market. Naturally, at that time people in Mumbai were so petrified after the blasts that they didn't want to step out of the house. The situation was beyond our control," says Joshi. His career graph is dotted with some extreme cases of hits and flops — while Rang De Basanti or 3 Idiots did well at the box office, Hello and Toh Baat Pakki failed miserably. "As an actor, I give a film my 150 per cent. I have never fretted about my films not doing well. I can disconnect myself from a film after its release," he says. Celebrity Cup 2010 When: Tonight Venue: Dubai International Cricket Stadium, Dubai Sports CityTime: 6pm onwardsTickets: Dh35, Dh50, Dh75, Dh175, Dh500 and Dh5,000 (VIP boxes, food included) are available atboxofficeme.com, Bombay Chowpatty, Sind Punjab, Ravi and Nirala Sweets. As Sharman Joshi gears to face the fast-paced deliveries of Pakistani bowler Shoaib Akhtar, tabloid! quizzes him about the game. The Celebrity Cup 2010, to be held tonight at the Dubai International Cricket Stadium, will see more than 40 celebrities from Bollywood and Pakistan participate. The proceeds will go to Salman Khan's charity Being Human. Joshi will also be walking the ramp tomorrow for a celebrity fashion show and auction in aid of the charity. Sachin Tendulkar. He is everybody's favourite, because he has proved himself as a player more than once. It's a pleasure to watch him. Which has been your most memorable cricket moment? The India-Pakistan match in Sharjah in 1986 when Javed Miandad hit that crucial sixer off Chetan Sharma's ball in the final over. India lost. I can never forget that match. You will be facing Pakistani fast bowler Shoaib Akhtar tonight. What's going through your mind right now? Well, I am going to chat with him before he bowls. Maybe, ask him to be a bit kind towards me. A bit of match-fixing (just kidding). With three Facebook pages and nearly 117,000 fans, the Being Human - Salman Khan Foundation is a testament that charity need not begin at home, it can also be done by clicking on the "join now" button on a social networking site. What makes Being Human popular is Khan's ability to source funds through unique initiatives. Bollywood's A-list celebrities scorched the ramp wearing designs from the Being Human collection — some of which used Khan's paintings as a backdrop — at India Couture Week last year. The jewellery brand Gitanjali followed suit by launching Being Human silver and gold coins. Rumour has it that Khan was weighed in silver at the request of a Dubai-based businessman who wished to buy silver coins equivalent to the actor's weight. Unconfirmed reports say that Khan will launch his Being Human watch line in Dubai this weekend, while tonight's charity cricket match will be the first time celebrities from Pakistan will endorse his collection.